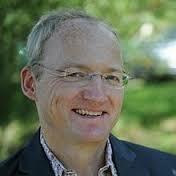 Professor Toby Walsh is a guest Professor at TU. He is also a Professor of Artificial Intelligence back at UNSW, in Sydney, Australia and at Data61, Australia's Centre of Excellence for Research in ICT. He leads a research group focused on Algorithmic Decision Theory, at the intersection of AI, Optimisation, Game Theory and Social Choice. Also, he is a fellow of the Australian Academy of Science, of the Association for the Advancement of AI, and of the European Association for AI. He has won numerous awards including the prestigious Humboldt research award. He has previously held research positions in Australia, England, Scotland, France, Italy, Ireland and Sweden. He regularly appears in the media talking about the impact of AI and robotics. His work has appeared in the New Scientist, American Scientist, Le Scienze, Cosmos and The Best Writing in Mathematics. His twitter account, @TobyWalsh has been voted one of the top ten to follow to keep abreast of developments in AI. He often gives talks at public and trade events like TEDx, World Knowledge Forum (Asia's Davos), The Next Big Thing Summit, and PauseFest. He has played a key role at the UN and elsewhere on the campaign to ban lethal autonomous weapons (also known as "killer robots").